Marriage is a turning point in your life as you assume a different identity and undertake unprecedented responsibilities. Therefore, a divorce is emotionally, financially and physically exacting, but it cannot be avoided if you have no other choice. 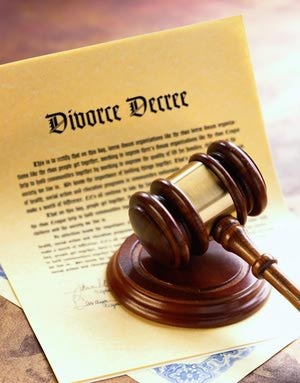 Divorce is legal remedy for a married couple like others legal remedy. Every married couple who felt that they can’t live together peacefully or feeling not satisfy from the present relation of husband and wife. They must go for this remedy for the good future. Sometimes circumstance of divorce will be very different, couple has no problem with each other but he/she has to file a divorce case in the influence of parents. yes, its true. because we seen many case of like this. in that situation, couple should appoint a good advocate who under stand the actual position of the case and give proper advice . Advocate in Chandigarh will point out to you that it will take months or several years. • Hire a good advocate: Divorce rates are going up in Chandigarh as in the rest of India. If you intend to go in for divorce, you can choose among the best of advocates for divorce Chandigarh. He will serve as your legal advisor throughout the lengthy process of your divorce. While you hire one among divorce advocates in Chandigarh, make sure he has the tact and efficiency to handle divorce cases. You must have a comfort level with your advocate and he/ she must empathize with your case. He or she must show interest in your case and devote substantial time for all legal proceedings regarding your case. It is vital that you come to an early agreement regarding fees charged by a lawyer for divorce in Chandigarh whom you have chosen to represent you. • Procedure of divorce: In India, there are two kinds of divorces- the mutual consent divorce and the contested divorce. In a mutual consent divorce, you can come to a consensus with your estranged spouse regarding all aspects of divorce including maintenance and child custody. In such a case, you must hire a mutual consent divorce advocate. If you are going to contest a divorce case in the high court, you must do so under the legislation applicable to you according to your religion. Hindus, Christians, Muslims and Parsis are governed by different personal laws of Marriage. Hindu law applies to Sikhs, Buddhist and Jains. The Special Marriage Act 1956 governs inter cast and inter religious marriages. • Inflicting cruelty-mental or physical which may harm life and health. • Suffering from incurable diseases or insanity. Your advocate can help draft and file a divorce petition based on the grounds specified by Indian divorce laws. You are required to supply all details and documents to your advocate, which he can use to help you in case filed in the High Court or relevant court. The more honest you are with your advocate, the better it is for your case. Inform him about all real causes for filing divorce without fear. You will also have to sign ‘Vakalatnama’ to authorize your advocate to represent you in your divorce case.